NSR involves the use of soft tissue augmenters such as hyaluronic acid (HA).6 These injectable products can be used to correct deformities that would otherwise require significant surgery, social downtime and a high cost. The use of fillers in the nose is a more subtle treatment that allows for a limited augmentation and correction of some defects and can also give long lasting results of an average of 13.5 months, however there are reports of up to 30 months.7 An interesting observation in NSR is that by adding volume to the nose, an NSR is always going to make the nose slightly larger. It is important that this is acknowledged and explained to the patient in the consultation so that they understand the procedure and outcomes. In contrast, the majority of surgical rhinoplasties or ‘reduction rhinoplasties’ are performed with the aim of refining or removing perceived imperfections or making noses smaller, although this is not exclusively so. What product should be used? There is no perfect nose, as every face is different with features of different shapes and sizes. 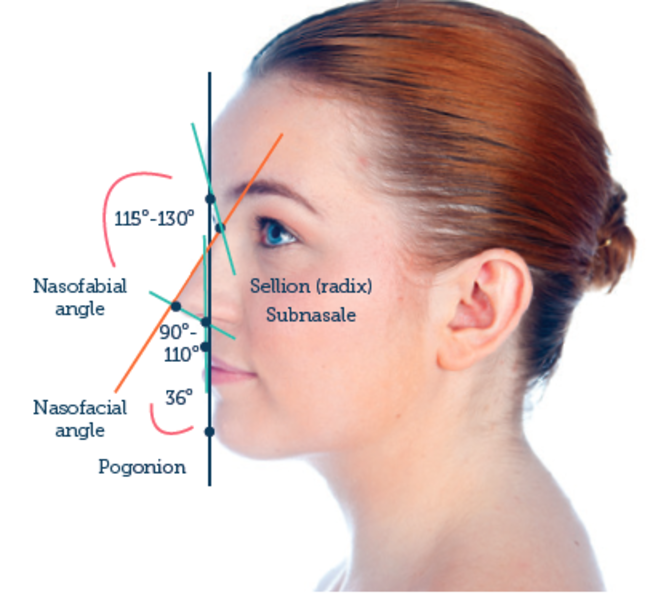 However, there are some proportions that are accepted as being the guide to normal features,13 which can help to assist in assessing the nose in terms of proportions. These average proportions hold true with minor variations across both sexes and broadly across races also. All attempts to classify racial features or the ‘classic’ European, African or Asian nose have always failed. This is simply due to the variation of any particular feature in any group, having too large a range to be statistically significant. 1. First branch crosses the root of the nose and anastomoses with the angular artery. 2. Second branch runs along the dorsum of the nose laterally supplying its outer surface towards the nasal tip and anastomoses with the contralateral dorsal nasal artery and the lateral nasal artery. 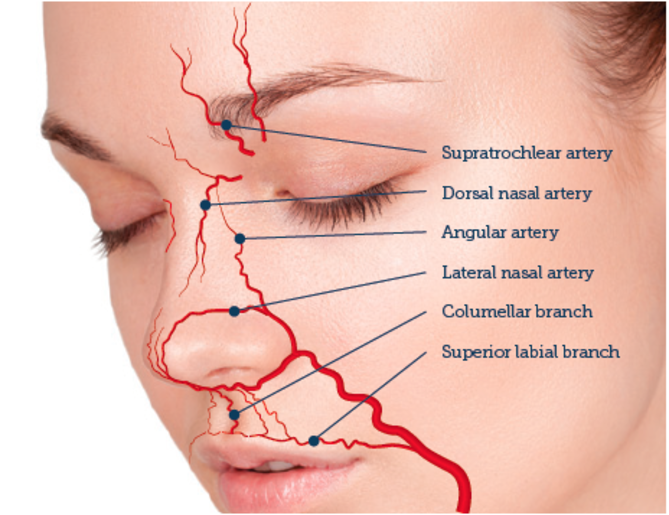 The superior labial artery gives off the columellar arteries that run up the columella ending and anastomosing in the tip with branches of the lateral nasal artery. Non-surgical rhinoplasty is a viable option in the sub-section of patients that do not need a reduction rhinoplasty. Requiring minimal downtime, it is also a useful tool to correct late onset complications following surgery or to treat very minor defects. Achieving treatment goals with NSR requires an in-depth knowledge of nose anatomy and the arterial system. This article is the first of two on non-surgical rhinoplasty by Mr Geoffrey Mullan and Mr Ben Hunter. Their next article will detail techniques and complications and how to best manage these. Angelos PC1, Been MJ, Toriumi DM, ‘Contemporary review of rhinoplasty’, Arch Facial Plast Surg, 14(4) (2012), pp.238-47. 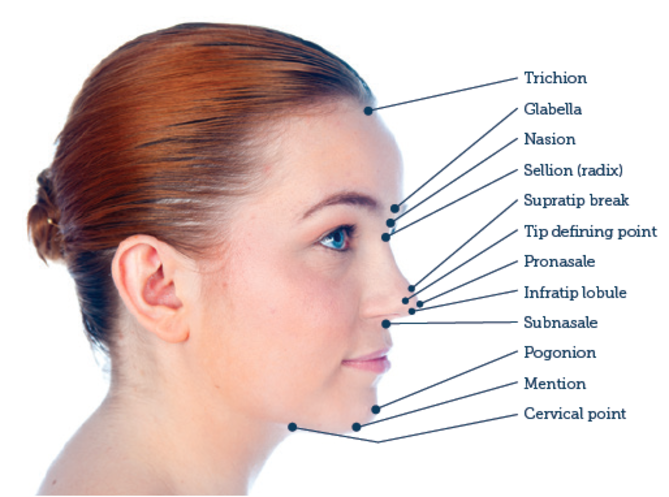 Adamson PA1, Warner J, Becker D, Romo TJ 3rd, Toriumi DM., ‘Revision rhinoplasty: panel discussion, controversies, and techniques’, Facial Plast Surg Clin North Am., 22(1) (2014), pp.57-96. 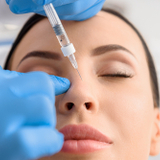 Pontius AT1, Chaiet SR, Williams EF 3rd., ‘Midface injectable fillers: have they replaced midface surgery?’, Facial Plast Surg Clin North Am., 21(2) (2013), pp.229-39. 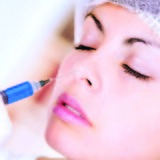 Jasin ME1., ‘Nonsurgical rhinoplasty using dermal fillers’, Facial Plast Surg Clin North Am., 21(2) (2013), pp.241-52. 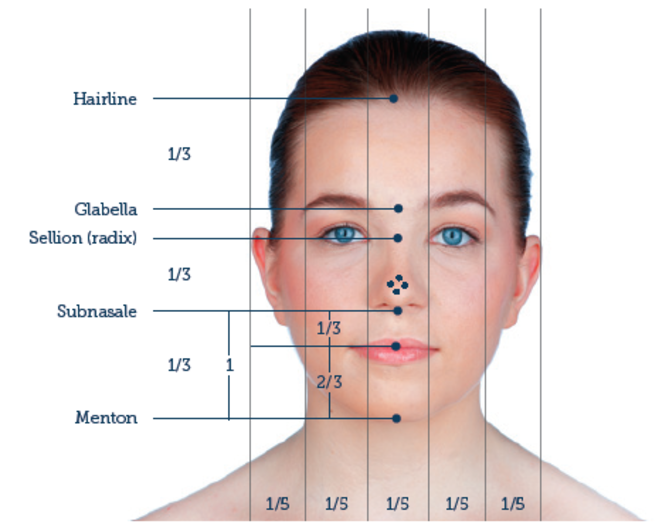 Tezel A, Fredrickson GH., ‘The science of hyaluronic acid dermal fillers’, J Cosmet Laser Ther.,10 (2008), pp.35-42. Hirsch RJ, Brody HJ, Carruthers JD., ‘Hyaluronidase in the office: a necessity for every dermasurgeon that injects hyaluronic acid’, J Cosmet Laser Ther., 9 (2007), pp.182-185. Smith KC1, ‘Reversible vs. nonreversible fillers in facial aesthetics: concerns and considerations’, Dermatol Online J., 15;14(8) (2008), p.3. Leong, S.C. and Eccles, R., ‘A systematic review of the nasal index and the significance of the shape and size of the nose in rhinology’, Clinical Otolaryngology, 34 (2009), pp.191-198. Papel et al., ‘Facial Plastic and Reconstructive Surgery’ Third edition Thieme.